This book was originally published in 2006. This is revised edition with updated chapters as of 2018. 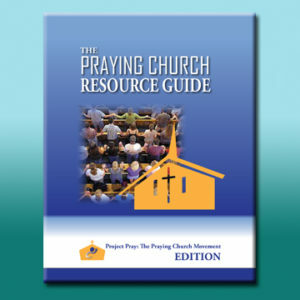 If all you need are a few ideas and methods to help you promote your under-attended prayer meetings, you might find a few good things in this book. Some books are designed like menus, to be read and used à la carte. And some readers, mistaking this book for a menu of methods, might merely scan through it in order to pick out a few ideas that sound good. But if you have read this far, you are probably truly hungry for something you might not be able to describe. You are not alone if you find yourself yearning for God’s transforming Presence throughout whole communities. Everything God has done so far in history is an appetizer. In these days, many are setting aside church program cookbooks and proven recipes for minor revivals. We are desperate for something massive – something global and something soon. We are yearning to be filled with what we will never fully contain. We are bored with small doses of spiritual energy that can be conjured or captured or contained in scripted church services. We want an outpouring from heaven that is so vast it will overwhelm every house and hall, penetrate every marketplace and jurisdiction, and bring life to every circle and setting of humanity. Instead of trying to get more of God in our churches, this book is about God filling the earth with His glory. Instead of formulas to get God to help us execute our programs, this book is a call of God to join Him in fulfilling His purposes by prayer. You will find many suggestions, a lot of ideas, an array of different models; but the heart of this book is a call of God to pray. It’s not just a call to pray more. It’s a call to pray sufficiently to fulfill God’s purpose. Transforming Your Church Into a House of Prayer echoes something we are all hearing: God is changing more than our circumstances. God is calling us to change. The Reformation is still on. God is still changing His church. 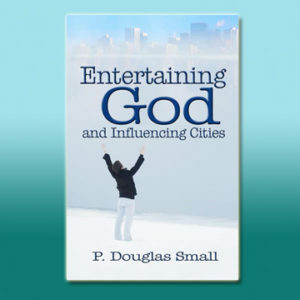 Doug Small offers helpful models and balanced ideas to strengthen the place and work of intercessors. As we respond to the compelling call of God, we can expect to be part of churches where everyone intercedes – not just a few anointed leaders. In addition to who will be praying, another change to expect is what we’ll be praying about. God is calling us to pray with persistence toward His purposes being fulfilled in our communities. It is no longer sufficient to pray about a few requests that focus prayers on emergencies and momentary needs. We are bored by praying small “answerables” that might help our churches become bigger or our crisis circumstances to become better. God is summoning us to pray for great things with a long look. We’re going to find ourselves following our own prayers into tremendous fulfillments of the Great Commandment and the once-in-history finishing of the Great Commission. Hold this book close to the ears of your heart. See if you don’t hear the God of all the earth calling you, along with the whole earth, to pray. As you answer the call of God with others, you will find yourself moving on mission with God by prayer. The preached Word must also become the prayed Word. Prayer must be modeled by church leadership. We must practice prayer publicly. The practice of corporate prayer should enrich the personal, private, at-home, daily habit of prayer. We need a better theology of prayer. We must embrace the discipline of prayer until we again know the delight of prayer. We need to identify intercessors – those who have a special call to prayer and grace to pray. Don’t read this book unless you are determined, even desperate, to become the prayer champion the Holy Spirit uses to ignite a prayer fire. With families. In ministries. Across communities. Doug combines fresh thought from biblical teachings on prayer with best practices on strategic corporate prayer. But, before you dive into these deep and wide waters, grab your journal, find your quiet place (no phone zone), turn to the contents listing, and pray through each of the twelve teaching topics. ASK the Holy Spirit a question about each one. “What do you want to teach me?” “What changes do I need to make in my prayer life?” “How can we mobilize this truth-practice in our church?” SEEK his leading with silence…wait for scripture…scribe your thoughts. KNOCK down every hindrance with a prayer of renewed commitment. Thank you Doug for a biblically infused strategic path toward becoming that house of prayer Jesus loves to empower by his Spirit. For decades Doug Small has been a leader in the prayer movement. His life demonstrates that prayer is a relationship with God, not just another topic for discussion. 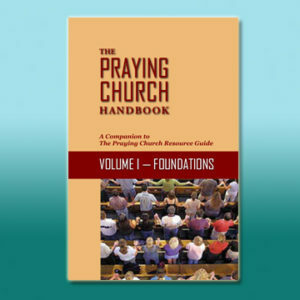 His new volume emphasizes the power of prayer in transforming a local church. It is scriptural, inspirational, practical and insightful. Every pastor, prayer leader, and praying believer will be enriched by the stories, the guidelines and the wisdom contained in this volume. Read, pray, and lead. An interceding church is a transformed church. Having been engaged in recruiting speakers for inter-denominational events over 35 years, Doug Small remains among the best with whom I have become acquainted. His insightful content is evidence of the most thorough thought and research. His anointed delivery is no less than that of the great leaders I have witnessed among hundreds of events. While no man holds a monopoly in any particular subject, if one must choose only one prayer leader to study under, Doug Small would be who I would recommend without reservation. Our hearts are passionate to see God’s House transformed into a House of Prayer where Purifying Fire is released into those who attend. As we experience this transformation, we become fire starters throughout our spheres of influence. Doug Small is a humble powerful encourager. He has gathered information so that we can glean from tried and true intercessors. 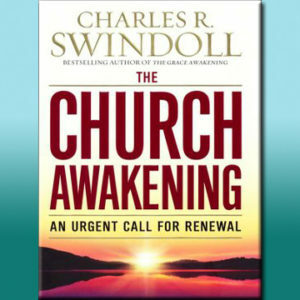 This book will inspire you in your journey to bring this power into your church. That Christians grasp the power and possibilities of prayer, know how to pray effectively, and pray regularly are great assumptions in the Church today. Sadly, they are often faulty assumptions. 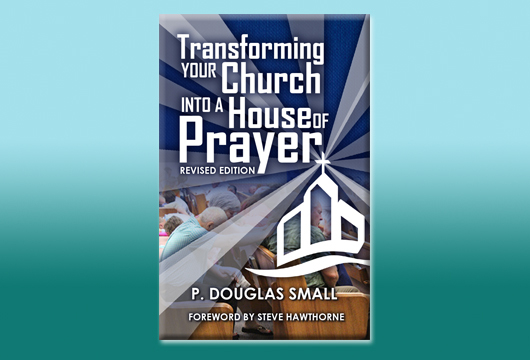 In Transforming Your Church into a House of Prayer, Doug Small unpacks the power, possibilities, and priority of prayer, and provides powerful insights and a wealth of instruction on mobilizing prayer individually and corporately.